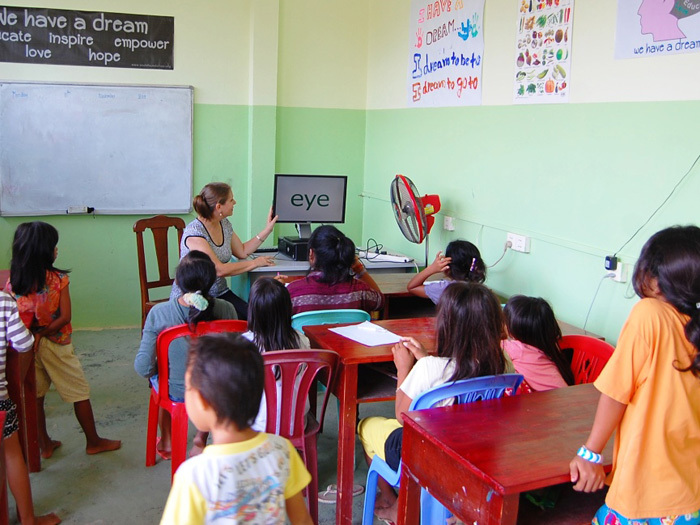 We recently sold 4 sets of LRB locally, and in agreement with EEECF, were able to allocate the funds for our literacy projects here in Cambodia. The funds were used to purchase 3 good quality, second hand computers with flat screen monitors. These were delivered to and installed at the CCPCR Rescue Shelter, which is home to 48 young girls rescued from human trafficking, sexual exploitation and violent abuse. Family Care Cambodia has provided steady assistance to this shelter for the past 9 years. 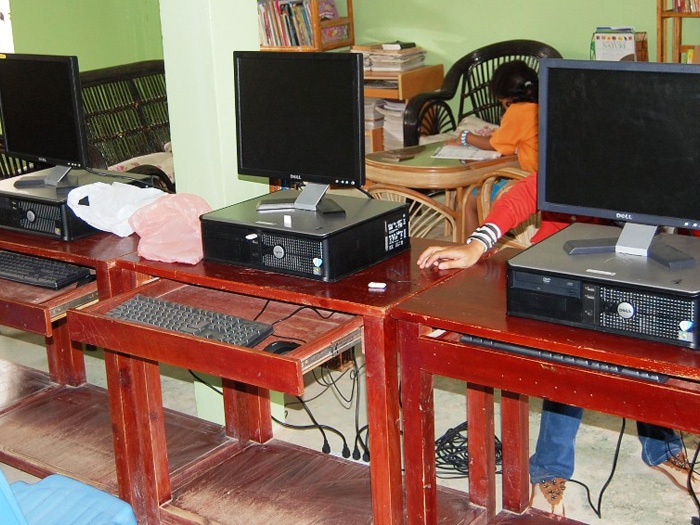 We have set up a mini computer lab and sponsor the salary for an IT teacher, who teaches 4 classes daily at the shelter, and an English teacher who also teaches 4 classes at the Shelter each day . Along with delivering the upgraded computers, we installed LRB on 6 of the computers and had our first demonstration class for the girls. We will soon host a training seminar for all of the Shelter staff. 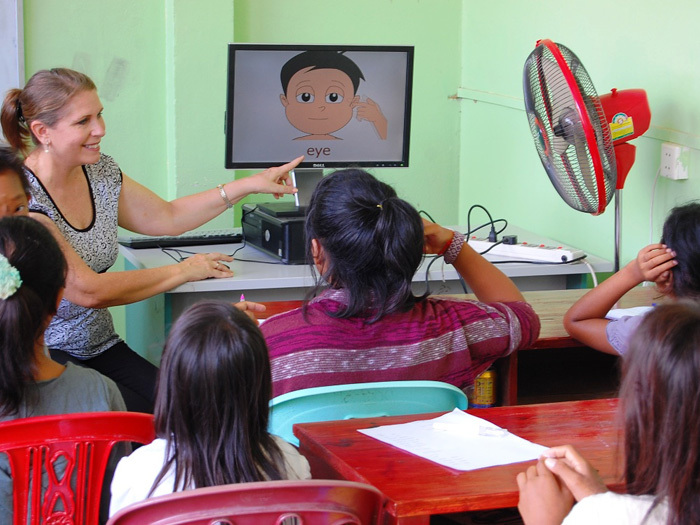 Our goal is that the computer and English teachers can make full use of the program while teaching, and that the shelter staff can start learning English during their free time as well! Many thanks to the EEEC Foundation and to Brillkids for making this possible.